New sanctions loom in the US-Russia standoff — what does the spat mean for the world, and is there an end to it? We talked to Dr Mathew Burrows, the veteran CIA analyst and former National Intelligence Counselor. Sophie Shevardnadze:Mathew Burrows, the CIA veteran analyst and the former National Intelligence Counselor, welcome to the show, it’s really great to have you on our programme. The world is no longer split in two any more like during the Cold War, and clearly the U.S. isn’t leading the world, like it tried to in the 90s - so should we be bracing ourselves for chaos in this new multilateral reality? Mathew Burrows: ‘Chaos’ may be a strong word, certainly instability because I don’t think we have achieved some sort of equilibrium. U.S. is trying to find the new role for itself, other powers as well. MB:Well, that leaderless world had quite a few wars in it. And, obviously, I think, our own appetite for conflict is very very low these days and public is more eager to see economic improvement than they are to get into a fight with a neighbour or other powers in the world. SS: How volatile is the current state of U.S.-Russian relations? I mean, do you see more sort of stability within this confrontation, or is it teetering on the unpredictable and dangerous? MB: It’s certainly unpredictable. I would say it’s potentially dangerous if it keeps at this low level of non-cooperation. You know, we’ve had differences before, but we’ve also been able to talk to one another and we also had those channels of communication. At the moment even between non-governmental bodies there seems to be a very low level of communication between the two of us. SS: Is it as bad as during the Cold-War era? Or even worse in a way? MB: It’s worse in a sense that there is no communication. I think it’s different. The U.S. really sees its peer competitor as China, so in some way it’s not as concerned (and I don’t share that belief) about Russia, they see Russia as a declining power, and therefore the power that in their minds we shouldn’t have to pay that much attention to. So that is a very dangerous situation. SS: Donald Trump, who looked like he could be a blessing for Moscow-Washington relations during his campaign, is now conducting the Russian business in an even more adversarial manner than Barack Obama. Why such a u-turn? MB: I think he’s hemmed-in. I’m not sure that he has changed his views. I mean, his views were always that we should be trying to cooperate together. But he’s a weakened president. There’s an ongoing investigation as, I’m sure, you know, about whether there was a collusion between his campaign and Russian authorities. So he can’t voice any argument for better relations. SS: But I mean, he’s the President of the United States. Who can hem him in? If he wants to have a good relationship with Russia, he should have a good relationship with Russia. Doesn’t his word mean anything? What kind of president is that? MB: This is the definition of a weakened president. You know, he has Congress which passed sanctions almost unanimously. He couldn’t veto it and so he has to abide by that legislation. He can’t actually voice much sentiment for better relations with Russia without implicating himself in some sort of conspiracy with Russia or collusion with Russia. SS: Can the Russia investigation, coupled with possible Democratic gains in the 2018 midterm elections in the U.S., bring matters to a crisis point - an impeachment trial even? MB: It depends if the Democratic Party wins both houses because it can impeach in the House of Representatives if it wins the majority after the November elections, it could bring impeachment proceedings. But in order to convict a president and throw him out of office you have to have a trial in the Senate. And it’s not clear if the Democrats can win the Senate. I mean, Bill Clinton was impeached as well but he wasn’t convicted. I think, when it comes to it, a lot of legislators both on the Republican and Democratic side may pull back from going through, particularly with the conviction, not so much the impeachment now, it’s been done against Bill Clinton. So that’s a precedent. SS: So the Iran deal, and some progress in Syria, shows Russia and the U.S. can sit down and tackle global problems successfully if the need arises. Is this how it’s going to be for the foreseeable future - sanctions and hostility mixed with pragmatic cooperation? MB: You know, that is certainly a step in the right direction when you can get more cooperation on different issues. Hopefully, at some point that cooperation improves. There are a lot of issues like arms control where we need to be talking with one another. I hope, it doesn’t stay there at minimal cooperation but moves up to more cooperation. SS: The U.S. and Russia managed to deal with the Iran issue together, now we have another nuclear crisis with North Korea. Can the two countries go again - sit down, involve China, get the Koreans to work things out, pull this off one more time here? MB: It’ll be easier for U.S. to deal with Russia as part of a group of countries along with China, Japan, South Korea and others. It is very difficult at the moment to have those bilateral talks, at least openly. And if you have them behind doors there are so many leaks from this administration that it’s very hard to carry on diplomacy with Russia without that leaking. So, yes, I think, you could see in a broader setting where you have other powers, improvement in the cooperation and that can bring some trust back in the relationship. SS: During the John Kerry years, there was hope that this approach of working on some issues while clashing over others will actually lead to a comprehensive mending of the Russia-U.S. relationship. But that hasn’t materialised - why doesn’t Tillerson continue working this line? MB: Well, there was a sea change and nobody saw this coming. Obviously there are different views on the interpretation. But most Americans believe that there was Russian interference in the election. And they see this as an attack on American values. During the Kerry years and before that during the Clinton years there was more of a willingness in their mind to reset relations after they deteriorated on one issue or the other. Post-Ukraine crisis and particularly now with still the investigation on what happened in the election is going on, it’s very hard for Tillerson or Trump, as we discussed, to make the case to the American public that we should have better relations. SS: Despite the hostility, the Americans and the Russians saw eye-to-eye when it came to fighting ISIS - and now the terror state is all but defeated. Should we expect the U.S. to distance itself from problems like Syria and let it play out? MB: I would say, under the Trump administration there has been more disengagement. Although there’s effort now in the State Department and elsewhere to begin thinking about reconstruction in Syria. In my own mind both Russia and the United States share big interests in Syria. I mean, both of us don’t want to see more instability or terrorism. But there’s a huge disagreement on tactics. The U.S. is not making it a condition any more that Assad leave the office. But nevertheless there’s a strong anti-Assad sentiment. SS: Turkey - a NATO member - is currently attacking the Syrian Kurds, who are U.S. allies. Is Washington going to do anything about this or is it going to throw the Kurds, who rely on it, under the bus? MB: I think, Washington is very concerned about Turkey and where Turkey is heading. Yes, there are efforts to warn Turkey against its attacks. But it’s a NATO member, there’s effort not to alienate further Turkey, there has been tense relations between U.S. and Turkey for some time. So I think, the effort is to handle this in a very low-key manner out of the public eye. SS: Does the U.S. even have enough leverage to stop Turkey anyway? MB:I don’t think we have the leverage… I mean, in the past Turkey was taking unilateral actions that highly displeased Washington. Turkey believes that there’s pretty much a threat. In the case of any country that believes that they face an existential threat from some source, it’s very hard to deter it from carrying out actions to eliminate that threat. SS: For decades, you’ve been analysing and predicting world crises for the U.S. government. How do you expect the Turkish intervention to unfold and what consequences will it have? MB: Hopefully, Turkey doesn’t… It’s warning the U.S. but it tries to avoid hitting U.S. personnel, and also draws backwards on its actual actions against the Kurds. As I say, there’s a difficult negotiation but I don’t think Turkey wants to completely alienate the U.S.
SS: The Pentagon has recently revealed the new U.S. defense strategy, which says that inter-state strategic competition with Russia and China is a No.1 concern for the U.S. Is terrorism no longer the biggest threat to America? MB: It isn’t. This is a dramatic switch and obviously terrorism is still a big threat. Any U.S. president doesn’t want to see a repeat of the 9/11 episode. So we’ve been hardening our borders and we continue in the Middle East and elsewhere cooperating with countries who are fighting terrorism and following also the spread of extremism in the U.S. or elsewhere to try to dent any terrorist attacks. But increasingly the U.S. foreign policy elite believes that we’re falling behind China on technology, that they are moving ahead on certain technologies, and despite having problems with how foreign policy is executed under Trump the foreign policy elite, both Republican and Democrat, agree with those statements in the National Defense Strategy. SS: Is the U.S. in effect abandoning the war on terror and returning to a Cold War-type of thinking? And if so,why? MB: I don’t think it’s abandoning totally, as I talked earlier. But I do think that it does worry that it’s margin... If you go back to the past 20 years, there was a period in the 90s when U.S. believed it was a unipolar power, so clearly above any power in the world able to take unilateral action. What you’ve seen in the last decade or two is the U.S. seeing China rise very quickly. And there’s worry on the economic side - China is 6-7 years away from becoming the biggest economic power in market value terms. So that is the concern. I think we’re approaching in an interesting way another Sputnik moment - as you remember in the 50s when U.S. was worrying it was falling behind the Soviet Union in technology development. SS: Russia and China are called ‘revisionist powers’ that want to shape the world under their model in the latest U.S. defense strategy. So to me, it sounds that in the American mindset there’s the American worldview, which is right, and there’s all the rest, which are incorrect or adversary, “revisionist”, and need to be confronted. How can the U.S. exist in a multipolar reality with this type of unipolar mentality? MB: Well, that’s a big difficulty. And that’s something I’ve been worried about for years because I think the U.S. is going to remain a great power whatever sort of world order we have. If it continues to play its cards like it did in the 90s believing it was a unipolar power and could do this things unilaterally then, I think, we could be in for a rough ride, because I don’t think other powers, not just China and Russia, don’t want to see a unipolar world with the U.S. as the top power. SS: In your book “The Future, Declassified” you say that America has to “take charge and direct the needed changes” in the world. What about all the countries of the world that aren’t excited about the American direction - do you think, they should be forced into following America's lead? MB: No, I think, what you earlier said about a polycentric world is correct.And if you have a polycentric world it means that the U.S. have to sit down with other powers and players of the world and we can think about how we can work together. We’ve talked about the shared interests. So the effort is about how we work and cooperate in dealing these shared interests. MB: I completely understand your view on it. And, I think, many Americans would also share your view that the invasion of Iraq was a strategic blunder and disaster for the U.S. That’s why the popularity of George W. Bush went down in his second term. But Americans look on this as we had good intentions. We were dealing with what we thought was a threat of weapons proliferation. And in Afghanistan we were trying to rebuild the country. The good intentions don’t excuse what happened - the disrupture and disarray that happened in the Middle East. But that is still how a lot of Americans look on that. The rest of the world is focused much more on the disastrous result. The U.S. public and elite think about the intentions and are seeing those as good intentions. SS: Almost a decade ago, about eight years, you said cybersecurity was a top threat. Now the Pentagon has recently proposed writing a nuclear response to a devastating cyber attack into the U.S. military doctrine. What kind of a hostile action in cyberspace would merit a nuclear attack? MB: I think, in the Pentagon’s mind it would be disabling of critical infrastructure, for example, like the electric grid or the functioning of financial institutions in the U.S. But even those actions certainly, in my mind, don’t justify a nuclear attack. I’m not actually sure they would trigger one. Most Americans are very scared about what would happen after they trigger a nuclear attack. If that would be particularly against Russia, China or another nuclear power there would be retribution. SS: Dr Burrows, on this optimistic note thank you very much for this wonderful interview. 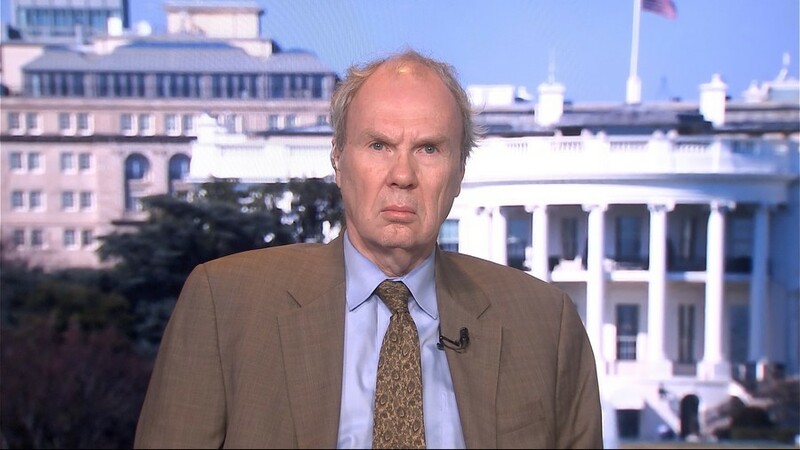 We were talking to Dr Mathew Burrows, the CIA veteran analyst and the former National Intelligence Counselor about all the major challenges that put our world order to test. That's it for this edition of SophieCo. I'll see you next time.